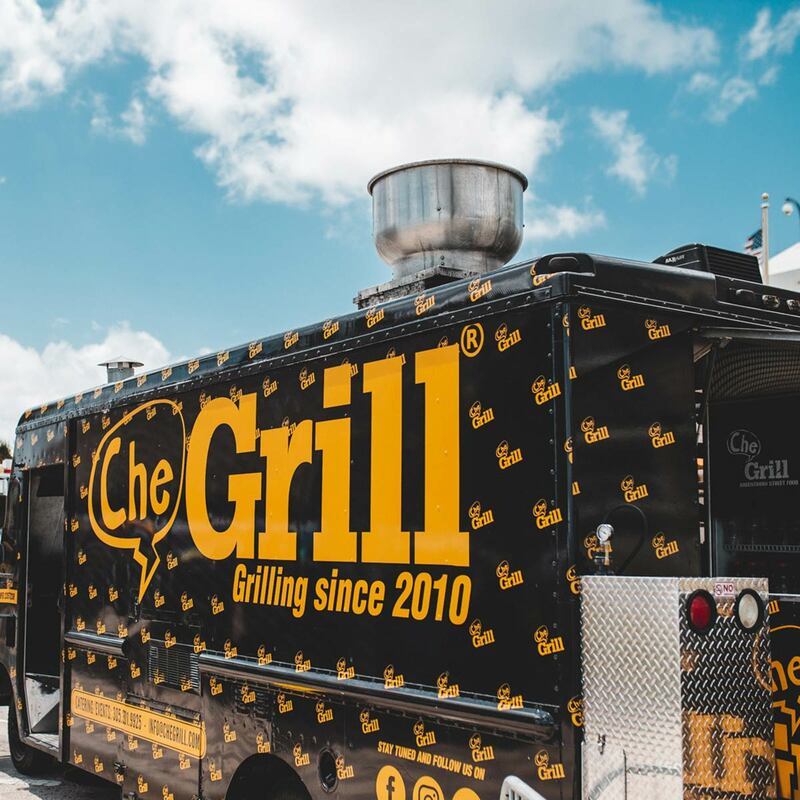 Che Grill was created in a burst of imagination and excitement as part of the first group of Food Trucks to venture and explore South Florida communities. 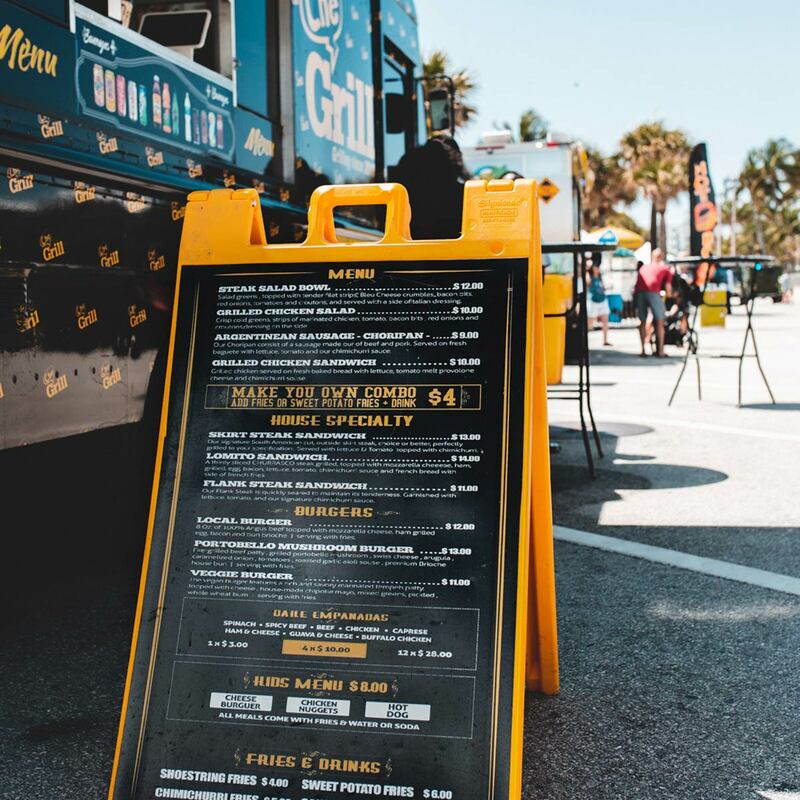 Food Trucks were a novelty and we wanted to bring authentic Argentine cuisine to this new culinary movement that was sweeping the United States. We chose “Che” – the Argentine version of buddy – because it was a short, internationally recognized word that encompasses friendship and goodwill. Che Grill is wrapped in the colors reminiscent of the Argentine Flag: white and light blue. And our logo is a bright friendly sun with a happy cow that welcomes “hello” in many languages. As a family-run business we wanted to offer what we would serve at home: High quality beef – the premiere symbol of Argentine cuisine – served with homemade sauces. 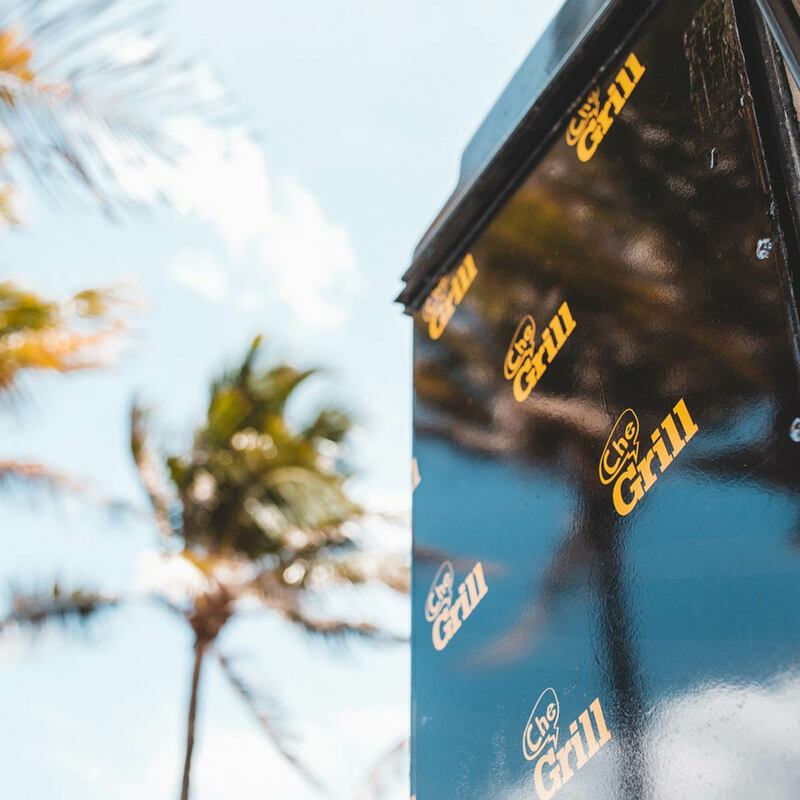 The stakes are grilled to order and presented on freshly baked bread, baked right on the truck to insure crispness and delight. 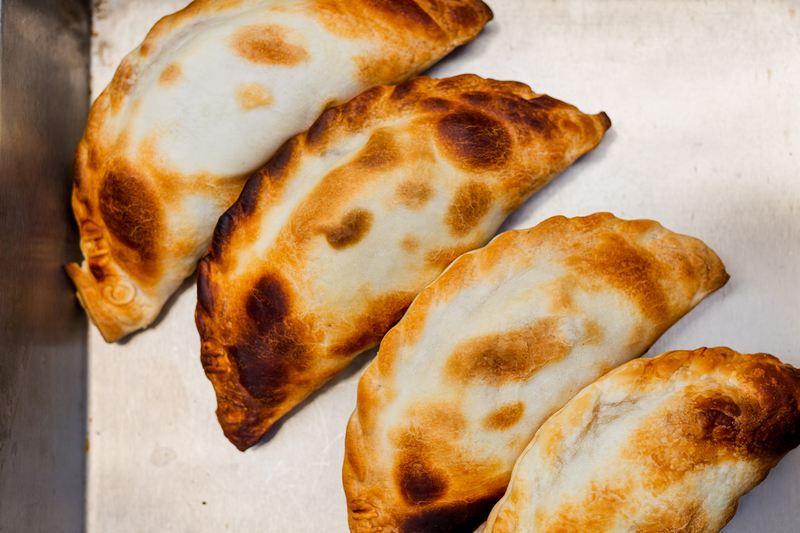 We also offer Argentine-style “empanadas”. 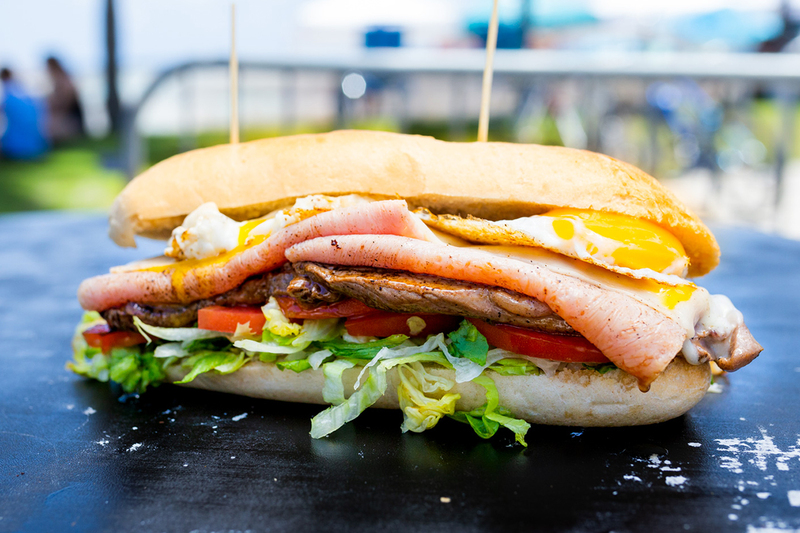 Churrasco Steak Grilled / Mozzarella / Ham / Fried Egg / Bacon / Lettuce / Tomato. 8 oz. 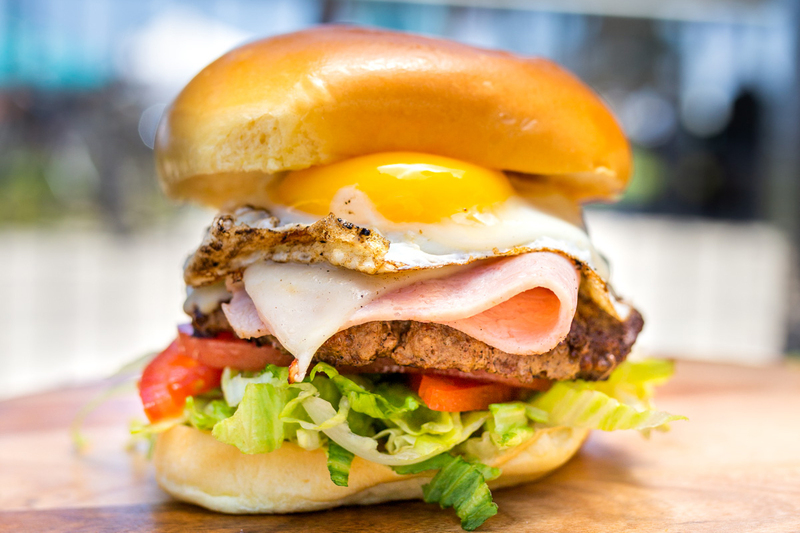 of 100% Lean Beef / Mozzarella / Ham / Grilled Egg / Bacon in a fresh bun. Spinach / Buffalo Chicken / Spicy Beef / Chicken / Beef / Ham & Cheese. Our Vacio Steakis quicklyseared to maintain its tenderness. Garnished with lettuce, tomato and our signature chimichurri sauce. A perfectly grilled Skirt Steak,cut in traditionaal Argentinian fashion. Garnished withyour choice of lettuce, tomato and our chimichurri sauce. Our Choripan consist of a sausage madeout of beef and pork - Served on fresh baguette. Garnished with your choice of lettuce, tomato and our chimichurri sauce. You will find food with the most authentic flavor you could ever imagine.You will find food with the most authentic flavor you could ever imagine. From the simplest platter to the most complex it has a wide variety of flavors. Birthdays, weddings, lunches, dinners, breakfasts and many more things we are able to do. Catering services, more than 500 people and we have service for lunch time. Local products, house flavors and most importantly fresh food. Argentinian food and the best atention. Nothing like this people. 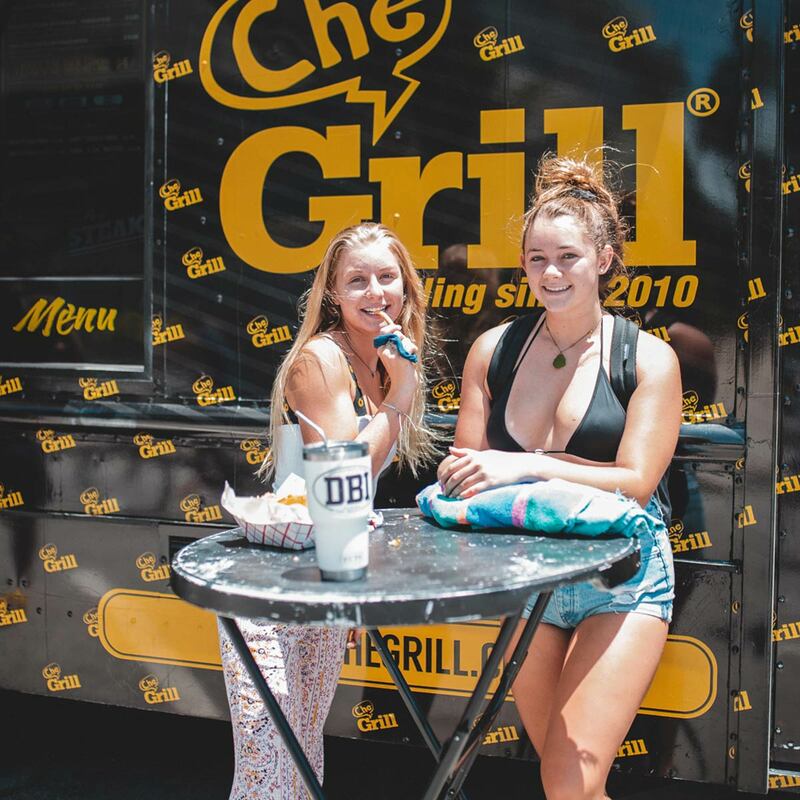 I love this Food truck! 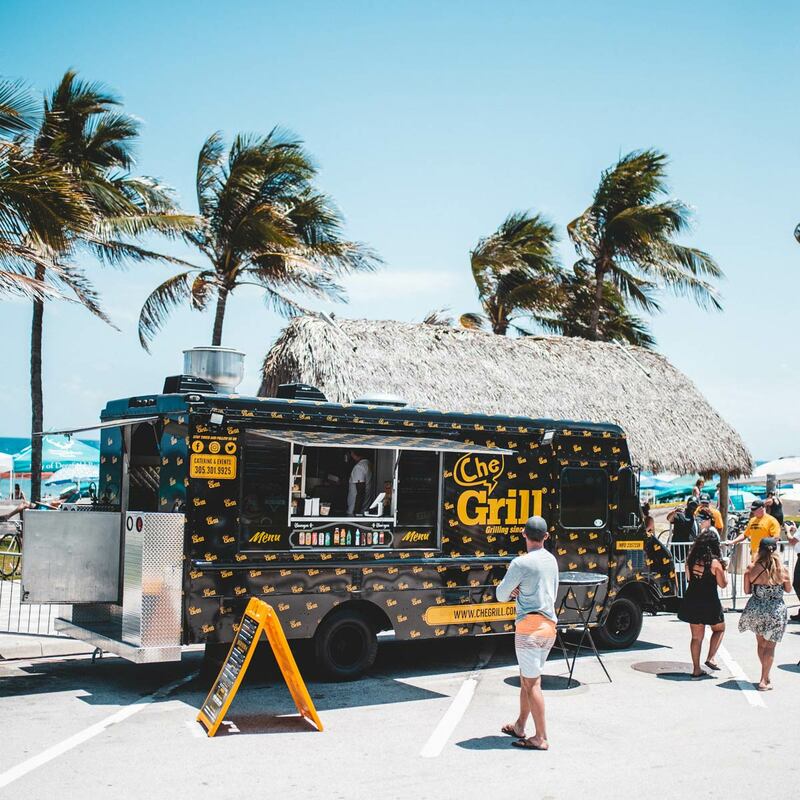 Perhaps the most incredible Food Truck in the Miami.